Made with cubic zirconia these stylish earrings will add a touch of sparkle to any outfit. A modern look with a touch of sparkle. 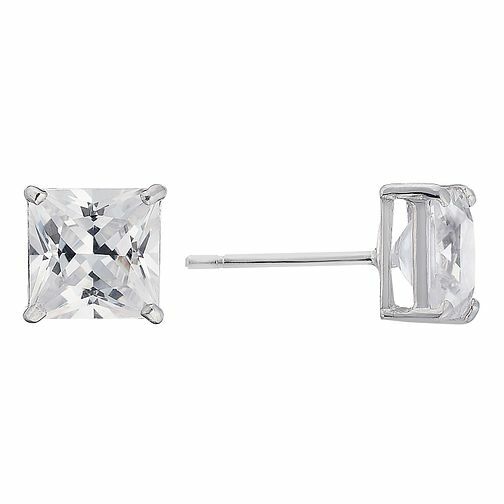 9ct white gold princess cut cubic zirconia earrings is rated 4.0 out of 5 by 2.